Aguadilla is a town on Puerto Rico’s northwestern tip. There’s a lovely run here along a 1-mile waterfront concrete walkway (Paseo Real Marina), boasting expansive views along the town’s coastline. 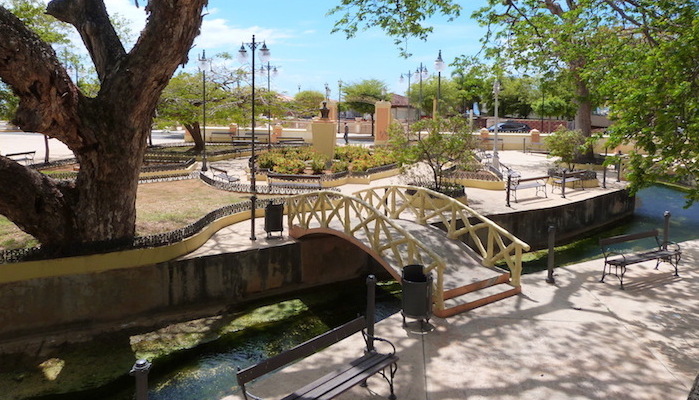 The path begins near the center of town and continues south to Colón Park. Runners will pass beautiful fountains, benches, and food kiosks before arriving at a sandy beach and boat launch. Great at sunset! As of now, the promenade is about 1 mile one way. Plans to extend and renovate the walkway with shoreline preservation projects are currently on hold.